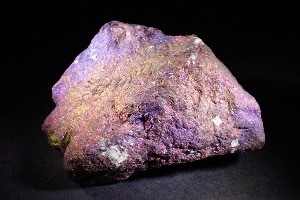 Fresh chalcopyrite is opaque, brassy yellow, but on exposure it develops an iridescent tarnish. 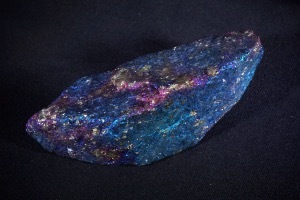 It’s crystals appear tetrahedral, and massive aggregates are common, botryoidal masses less so. 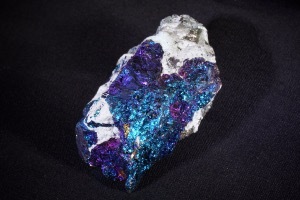 Chalcopyrite is a constituent of hydrothermal sulphide deposits. 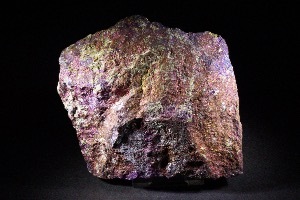 It is found as disseminated grains in igneous rocks and is an important ore mineral in porphyry copper deposits. 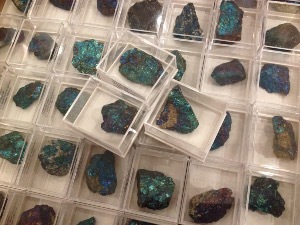 More rarely it occurs in metamorphic rocks.